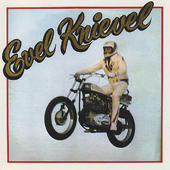 John Culliton Mahoney is most revered for his single The Ballad of Evel Knievel (produced by Ron Kramer) as part of an album in honor of the infamous stuntman. After completing the album, John spent the summer in Toronto with the stuntman and his family as he attempted Snake River. This song was featured in a Warner Bros. documentary of Evel Knievel in 2005, ‘Live Hard, Ride Fast, Regret Nothing’.